Explanation: Gliding toward today's total eclipse of the Sun, the crescent Moon has been rising early, just before dawn. 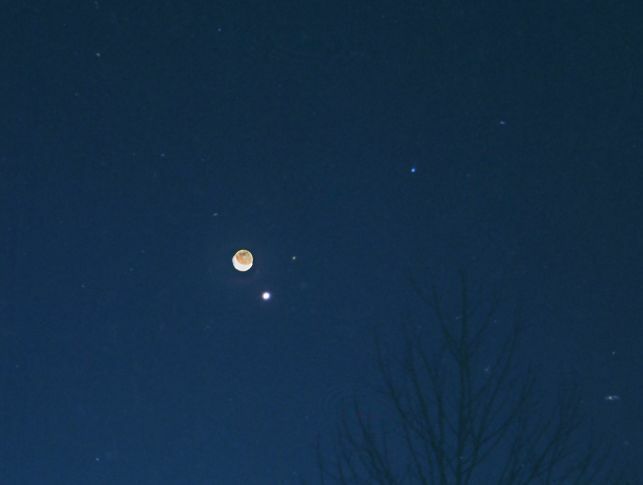 And as a prelude to its close solar alignment, the Moon also completed a lovely celestial triangle, closing with bright planets Mars and Venus on the morning of December 1. While the total solar eclipse can only be seen from a narrow corridor, skygazers around the globe could appreciate this lunar-planetary conjunction. 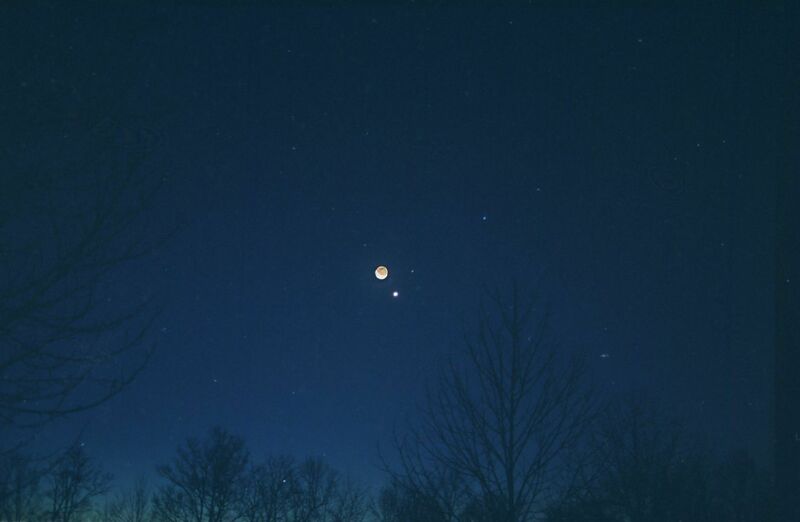 This view is from near Nashville Tennessee, USA, and finds brilliant Venus at the lowest corner of the triangle with a much fainter Mars immediately to the right of the Moon. The Moon's sunlit crescent is overexposed, but details of the lunar night side are revealed by earthshine. Above and to the right of the trio is Spica, brightest star in the constellation Virgo.